You are here: Home / News / Action Alert! Dangerous Bill Being Snuck Through! California’s SB 1095 would result in expansion of genetic screening, so that CA would be required to screen for “any (…) disease detectable in blood samples” – not only after birth, but in the words of the bill, as part of “prenatal care” – prior to the child having the opportunity to be born. 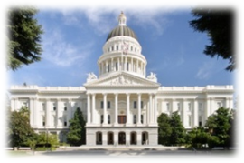 The bill proposes that the “diseases” which would be funded for screening and ultimate exclusion from the gene pool would be decided upon by a Federal RUSP – a panel of persons that nobody in the State of California can influence or control. Read that carefully: “any (…) disease that is detectable in blood samples.” The effects of this screening and what will ultimately be a California effort at ‘negative eugenics’ will grow – causing untold harm to billions. This bill would cause billions to be screened out of the gene pool either as a result of aggressive genetic counseling, recommendations for genetic modification, or abortion. Please schedule online advocacy action to stop this bill. It appears that the bill is being rushed to passage out of the Assembly; it may be that the best way to stop the bill would be to write the Governor to ask that SB 1095 be vetoed when it arrives at his desk. These other bills are currently circulating through the Legislature. It is important that your voice be heard regarding these issues that impact our families and our culture. Make sure to use the link provided to find and contact your representatives and tell them oppose or support these bills! AB 1671 This bill would prohibit David Daleiden type reportage on Planned Parenthood, offering it special protections. This Bill is currently under court challenge. This bill mandates a statement all Pregnancy Care Centers would have to tell mothers seeking care that includes how to get an abortion but not alternatives like adoption. It also exempts abortion clinics from giving the same mothers the same information. California’s Pregnancy Resource Centers offer ‘competition’ to the abortion industry. We need to make sure that they are able to offer the support and answers that women deserve! You can assist our amicus brief legal fund here. This bill strives to eliminate the personal belief exemption option from the school immunization law forcing parents to vaccinate their children from all diseases deemed necessary by the Department of Public Health (DPH). Some immunizations use tissue from aborted babies. Based on false ‘science’, SB 277 makes sweeping claims to government authority over all California’s children. It will not allow substitute vaccines, and the moral, ethical, and scientific questions surrounding certain immunizations are not to be respected. We are filing an amicus brief in the lawsuit filed Aug.12 that challenges its constitutionality. You can assist us here. This bill will legalize assisted suicide. It will remove the current legal protection that prevents third-party involvement in killing the medically vulnerable. Wherever enacted, such laws have thrown open the gates for much broader killing. This bill is being litigated by Life Legal Defense in Riverside County, and a hearing is scheduled in September. Stand with us. Stand with Life.